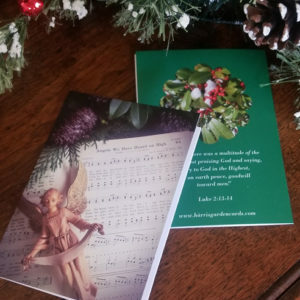 Designed for Christmas note writing, these 4 x 5.5″ single, double-sided cards have just enough room on the reverse sides for brief messages of welcome, best wishes, or gratitude. 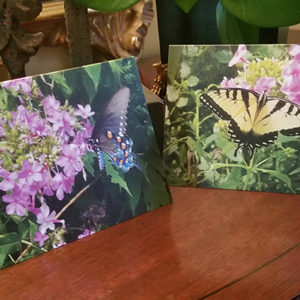 A total of four of these beautiful note cards arrive in a clear package, adorned with a red or green bow. Two of each of the two designs are included. What thoughtful hostess gifts to leave with friends during parties, open houses, and dinners! Designed for Christmas note writing, these 4 x 5.5″ single, double-sided cards have just enough room on the reverse sides for brief messages of welcome, best wishes, or gratitude. 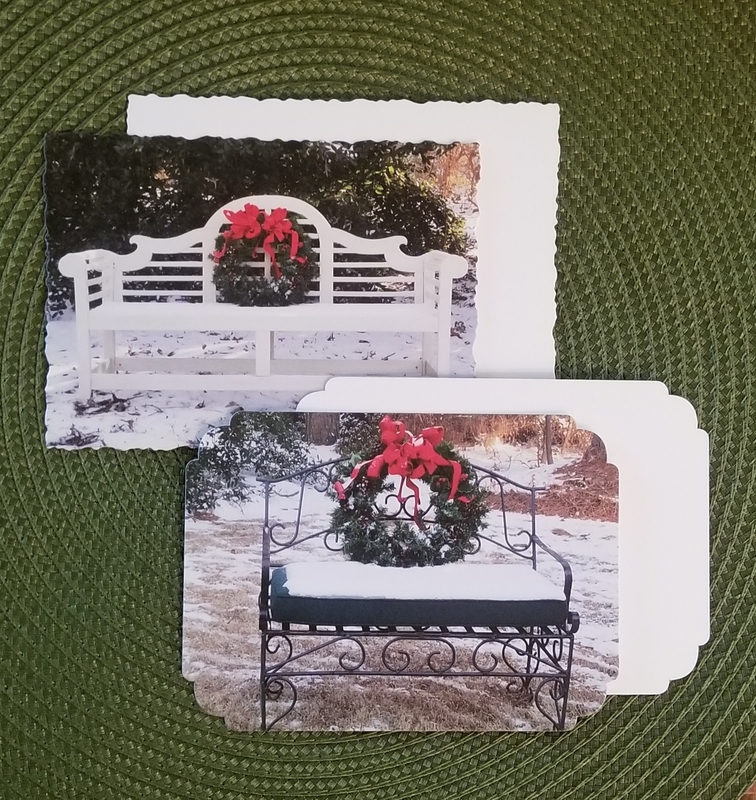 The photos taken on a snowy lawn in front of holly trees feature two timeless garden benches decorated with Christmas wreaths. The card edges are gently chiseled and rounded for a festive effect. 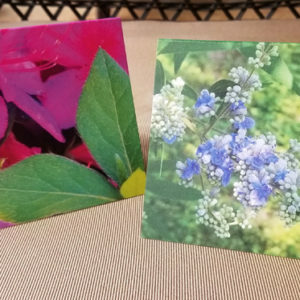 Personalize these as invitations to holiday gatherings or use as Christmas gift tags with your hand-written messages! As with all of our card products, high-quality white envelopes are included at no extra charge.